Film historian Geoffrey Neville Donaldson was born in Newcastle, Australia on 29 November 1929. Not much is known about his life in Australia except that, between 1949 and 1954, he was a teacher in the small town of Comboyne East. In 1955, Donaldson decided – unlike the stream of other emigrants – to look for a more adventurous life in Europe. Donaldson was a collector, and all encyclopaedic research starts, of course, with the collection of facts. In Australia he had already begun collecting pictures and postcards of movie stars and when he arrived in Europe in 1955, one of the places he visited was Rome. The Australian embassy advised him not to look for work there (as unemployment was high). He had more luck with the Roman movie companies that he approached, as he was able to add various press kits and pictures to his collection. The fact that Donaldson ultimately ended up in the Netherlands was actually by coincidence, since he was supposed to start work as a teacher in England. We owe his life’s work to this coincidence. He had a female pen friend in the Netherlands and he liked it here. For a while, he worked as a tomato picker and as a warehouseman and sales assistant in the Dutch department store, De Bijenkorf. Eventually, he ended up at Unilever, where his command of languages and writing skills were put to good use in the patents department. Later, he moved to Rotterdam to live with Harry van Gunsteren, his life partner and writer for Dutch newspaper Algemeen Dagblad, in their apartment on the Groenendaal, which gradually filled up with movie documentation. It was probably due to his sexual orientation that Geoffrey Donaldson was particularly partial to the Dutch Diva films that had previously been ignored by Dutch movie writers. One could say even that the rediscovery of the silent Dutch movie may be credited to Donaldson. Donaldson worked as a translator and correspondent for Unilever and it is interesting to know that he also started his research on movie history as a correspondent. For Donaldson, it was perfectly normal to write a considerable number of letters every day. He must have sent tens of thousands of them in his lifetime. He tried to do as much as possible by post. For example, in his pioneering years, he also corresponded with the Dutch Film Museum that sent him volumes of old movie magazines such as De Film-Wereld (the World of Movies) and De Bioscoop-Courant (The Cinema Newspaper) by registered post. Once Donaldson finished his research on a particular volume, he returned it to the Museum and asked for the next one. He only left the house to do his research when there was no other way. 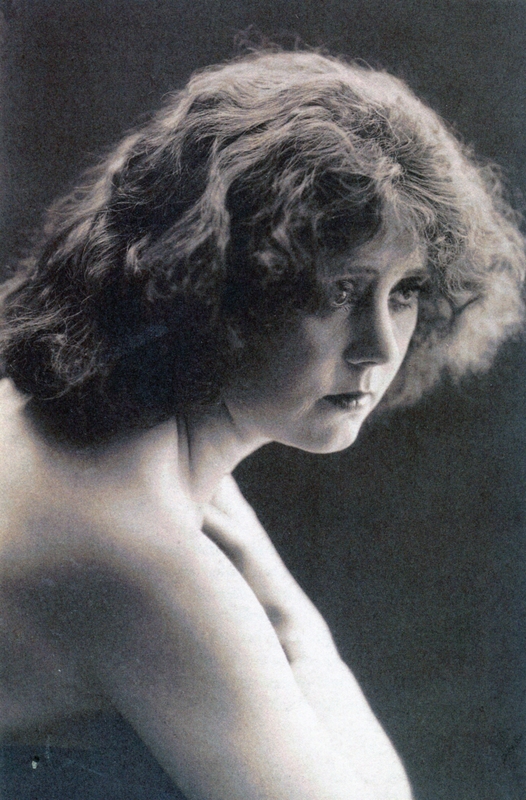 For example, he interviewed a considerable number of people from the world of Dutch silent movies, including the Netherlands’ first genuine film diva, Annie Bos (1886-1975). Unfortunately, he did not record these interviews, and so Annie’s voice was not saved for posterity. Donaldson liked to write everyone and everything, and built up contacts all over the world. If he felt it was necessary to learn a language for any particular research or contact, he did not hesitate to do so. For example, he taught himself Serbo-Croatian and wrote lengthy letters in that language to friends and people he knew in the movie world of former Yugoslavia. 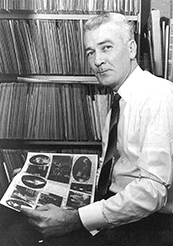 Donaldson in his film archive, Rotterdam, ca. 1969. Donaldson made it his life’s work to prove Scholte wrong and the weighty book that he eventually published in 1997 did just that. His publishing activities are probably too extensive to even investigate. In the fifties and sixties, he frequently visited the Berlin Film Festival and wrote about it in the British magazine Films and Filming. Later, he would also publish on movie-historic subjects in the same magazine, as well as in The Silent Picture and Films in Review. In the Netherlands, Donaldson would write mainly for the initially Marxist-Leninist and later more film-theoretically oriented magazine Skrien. The magazine’s various outlooks did not preclude a considerable interest in movie history and Donaldson consequently became an esteemed contributor. His first article for Skrien, in 1970, was programmatically entitled ‘The Dutch silent move and Dutch “movie historians”’ and contained a long list of all the errors that Dutch film writers such as Charles Boost, Emile Brumsteede, Simon van Collem and Ab Ieperen had permitted themselves at the expense of the Dutch silent movie up to then. It would certainly not be the last time Donaldson displayed his critical side. After he retired from Unilever in late 1989, he was able to focus all his energy on his voluminous book. The Film Museum helped him to do so by giving him a personal computer and lending out a trainee, so that the comprehensive filmography data could also become available in digital form. 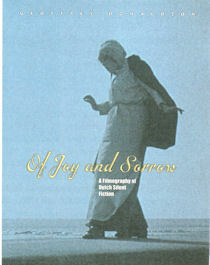 The work on both sides (Donaldson submitted his information, the Film Museum checked all its own sources and completed the filmography information where necessary, after which Donaldson checked everything again) resulted in Of Joy and Sorrow (1997) a verbal, if not visual pinnacle of Donaldson’s lifelong passion for the Dutch silent movie. Not only did the book offer an impressive overview of everything that had been created in the first 35 years of Dutch movie history, it also contained a wealth of information about foreign releases. For example, the ‘five-master’ EEN CARMEN VAN HET NOORDEN [A Carmen of the North] (Maurits Binger/Hans Nesna, 1919) was shown in the United States in May of that year and in Argentina the following month (Of Joy and Sorrow, p. 184). Filmliga founder Henrik Scholte, who passed away a few years before, received a verbal but especially visual retort. In fact, Donaldson was not only active in the field of the Dutch silent movie, he compiled, among other things, a pioneering first overview of movies made in the Netherlands during the Second World War. For example, for the famous Lexikon zum deutschsprachigen Film compiled by CineGraph he carried out research into which German actors or technicians had worked on Dutch movies. His work is also included in the Biographic Dictionary of the Netherlands. Donaldson kept an incredible biographic archive of almost everyone who had anything to do with Dutch movies. Many younger fellow researchers consequently visited him at home to consult his famous files. This often resulted in years of correspondence and an ongoing exchange of information. Donaldson was basically a very modest, even shy man who you only really got to know in his letters. In a typical letter sent after one of these afternoon visits, he apologised that he had forgotten to offer his visitor something to drink or otherwise, engrossed as he had been in either the conversation or looking up material from the archive. I got to know Geoffrey personally in 1988 just after I started my job at the Film Museum and found three previously unviewed film canisters that contained three acts from a Hollandia movie that had been considered lost until then. My correspondence with Donaldson allowed me to conclude that they were acts 2, 4 and the final act 5 from the Annie Bos movie GOUDEN KETENEN [Gold Chains] (Directed by Maurits Binger, 1917). It was my first encounter with the Dutch silent movie and it opened up a whole new world for me. 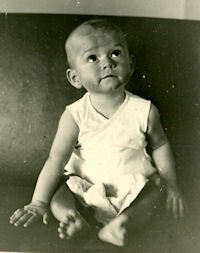 Later, I was able to use his wonderful personal files for my own research into the Dutch movie industry of the forties. Donaldson shared my interest in the forties. He had a comprehensive collection of publicity material on people such as Veit Harlan, Kristina Söderbaum and others. He readily made his material on Jan Teunissen (including the remainder of Teunissen’s archive that had been given to Donaldson after the former’s death in 1975) available to me for my biographical research on this ‘film tsar’. I was able to take the files with the original letters and the collected film scripts of the movies Teunissen edited in the thirties home with me until the research was finished. Donaldson’s impressive collection contained, among other things, four or five bulky files in which Donaldson saved everything he could find about the countless adventure stories by his favourite author Henry Rider Haggard. This would lend itself perfectly for a proper source publication, as would the impressive collection of material that Donaldson collected about the movies of D.W. Griffith. Geoffrey only showed you those things if you were interested. Let us hope that the Film Museum will make an inventory of Donaldson’s sizeable collection soon so that researchers will not have to do without this Fundgrube much longer. Dutch State Secretary Rick van der Ploeg awarding Geoff his Golden Calf for his life’s work, Utrecht, 1998. 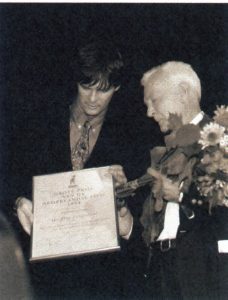 Donaldson was awarded the 1981 NBF Cinemagiaprijs for his work in the field of movie history and received a special Gouden Kalf during the 1998 Dutch Film Festival for his beautiful book and his pioneering work in the field of Dutch movie historiography. On 9 May 2002 at age 72, he passed away in his beloved Rotterdam. I am sure that I am not the only one who will miss his passion, his critical viewpoint, and, more than that, his friendship.